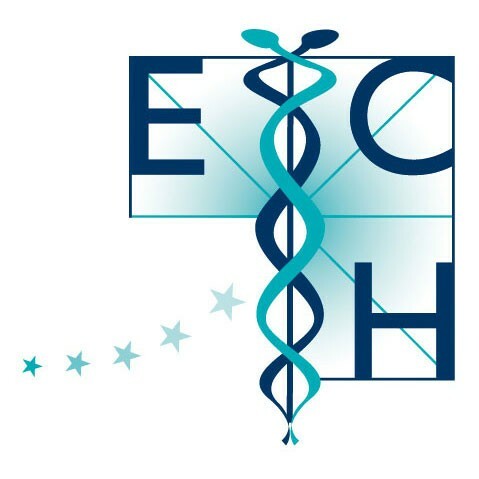 It is an international association having philanthropic, scientific and educational aims under the title of: ‘European Committee for Homoeopathy – E.C.H.’. This association is registered under the Belgian law of 25th October 1919 – which was modified by the law of 6th December 1954. The headquarters may be moved to another location in Belgium by decision of the Council, the Belgian administration being notified within a month of the decision being taken. The association is composed of individuals or organisations having legal right of existence and activity in their country of residence. There are two categories of members, full members and associate members. 1º they are, or they represent, doctors of medicine who are entitled to work in their country of residence. 2º they are recognised as, or are comprised of, medical doctors who have acquired an adequate knowledge of homoeopathic medicine – the level of knowledge required being defined by the education subcommittee of the E.C.H. individuals or organisations, which the Council considers necessary to accomplish its aims. individuals or organisations which do not meet the criteria for full membership but nevertheless espouse the aims of the association. Full members have voting rights and may be nominated to become members of the Council. They pay an annual subscription. Associate members may only participate in discussions and also pay an annual subscription. Both full members and associate members may resign their membership at any time. Their resignation takes effect from January 1st of the calendar year following their resignation. Exclusion of members from the association can be proposed by the Council, after it has heard the defence of the interested party. Exclusion must be confirmed by the General Assembly with at least a two thirds majority of the votes of full members either present or represented. A member who ceases to belong to the association, whether by death or otherwise, loses any financial rights with regard to the association. All members pay an annual subscription, the rate being decided annually by the General Assembly following a proposal made by the Council. a) Approval of budgets and accounts. b) Election and dismissal of Council Members. c) Amendment of the statutes or by-laws of the association. The General Assembly rightfully meets under the chairmanship of the President of the Council (it can appoint another member of the Council to the chair) every two years at the venue indicated on the notification. Notice of the meeting is given by the secretary of the Council and is sent out at least 40 days prior to the meeting and contains the agenda for the meeting. An Extraordinary General Assembly may be called at any time by the President of the Council at the request of at least 20 members acting jointly. However, such a request is only valid if it is made in writing, signed by all the applicants and is accompanied by a definite and precise objective for the proposed extraordinary general meeting. Full members may be represented by proxy at a General Assembly by another full member. Each full member is only permitted to represent by proxy up to three other full members. The General Assembly requires a quorum of 50 percent of the members either present or represented. Should a General Assembly meeting not be quorate, a new meeting of the General Assembly is called for the same reasons, and this meeting may validly proceed whatever the numbers of members present or represented. Excluding the exceptions provided for in these statutes, decisions are taken by a majority vote of full members either present or represented, and these decisions are communicated to the membership as a whole. Only items on the agenda will be debated. Decisions of the General Assembly are recorded in the minutes and signed by the President, Secretary and Treasurer. The minutes are held by the Secretary and are available to all members. Without prejudice to article 5 of the Belgian law of 25 October 1919, any proposal to amend the statutes or by-laws or to dissolve the association must come from the Council or from at least 50 percent of the full membership of the association. The Council must give at least three months’ notice to the membership of a General Assembly that is to deliberate such a proposal. Such a General Assembly is only quorate if at least two thirds of the full members with voting rights are present or represented. No decision can be made without at least a two thirds majority of votes. If the meeting does not have a quorum of two thirds of the full membership, then a new meeting will be called for the same purpose, which will be quorate regardless of the number of members either present or represented. Any amendments to the statutes will only take effect after receiving royal assent, and after the necessary publication, required by article 3 of the law of 25 October 1919, has been complied with. The General Assembly will decide the method of dissolution and liquidation of the association. The association is governed by a Council comprising at least 3 and at most 25 members. At least one Council member must be a Belgian national. Members of the Council are elected by the General Assembly and have a tenure of office of four years, which is renewable. Members of Council can be removed by a two thirds majority vote of members either present or represented at a General Assembly meeting. The Council shall elect from their midst the following Officers – a President, a Vice President, a Secretary and a Treasurer. The Council shall meet at least twice a year (April and November) or a special meeting shall be called if an Officer has been asked for such a meeting by at least 5 members of Council. The dates of meeting must be circulated at least 20 days before the date of the proposed meeting. A Council member may be represented by proxy by another Council member, but any Council member may only represent one other Council member by proxy. The Council may only proceed providing if there is a quorum of 50 percent of members present or represented. The Council has full enabling powers other than those specifically reserved for the General Assembly. It may delegate daily management to its President or to another member of Council or to another person who has been proposed. Moreover, it can confer special enabling powers to other or several persons. The decisions of the Council are taken by a majority vote of those Council members either present or represented. In the event of equality of voting the President has a casting vote. The decisions are recorded in the minute book, signed by the President and the Secretary and the minutes are held by the Secretary who will make them available to the membership of the association. Any actions in which the association becomes engaged, other than those with specific powers of attorney, shall be signed by three Council members, who shall not have to justify to any third party the powers that they have been conferred to this end. Any legal actions whether as plaintiff or defendant will be dealt with by the Council represented by the President or another Council member who the Council shall appoint for this purpose. The financial year ends on the 31st December. The Council must submit the accounts for the year just ended and the budget for the forthcoming year for the approval of the General Assembly. Anything that is not covered by the present statutes and notably any applications made to the Belgian Administration, will be settled in accordance with the letters of the law. c) any elected individual member nominated by the Council or by at least 20 members acting jointly. The Council sets the general policies of the association in order for it to fulfil its aims. It directs the work of the association and takes all necessary action to accomplish the aims of the association. It presents its policy plan to the General Assembly for their approval and arranges for this policy plan to be implemented. The Officers are charged with the daily management of the ECH. If one of the Officers is dealing with an issue in the field of one of the subcommittees, its co-ordinator should be consulted or a project should be carried out in close collaboration. d) Representing the ECH, although he can delegate this job when dealing with a specific field in which somebody else has more know-how. The Council can set up or dissolve subcommittees to cover areas for special attention such as education, politics, research, documentation, and pharmacology among others. Each subcomittee is directed by a co-ordinator, who is an ex officio member of the Council. b) elected by the General Assembly. c) liable to dismissal by the Council, in the event of failing to discharge his or her duties satisfactorily. He or she must be given the opportunity to defend himself or herself before the Council, having been given at least three weeks’ notice of the meeting and the allegations to be discussed. In such circumstances the Council has power to appoint an interim co-ordinator. Each European country may be represented by at least one full member on each subcommittee. The decisions of the subcommittees are taken preferably by unanimous vote, only one vote from each country being taken into account. a) The General Assembly should seek to reach consensus. b) If general consensus on a specific resolution cannot be reached, the representatives from each country should seek to reach consensus among themselves, whereupon this resolution is passed with a simple majority of the votes. Individual members have one vote. If there is more than one association in a country, the votes allocated to that country are in accordance with the total number of members in that country apportioned proportionally to the size of each association. Two votes are allocated to those countries that have been authorised by the council to pay at a reduced rate. Two votes are allocated to the IAVH, being an association that pays a fixed amount and not the full membership fee for each individual member. Two votes are allocated to the patients’ associations. Only countries or individuals that have paid their ECH membership fees in full over the previous two years are eligible to vote.